This weekend we have been away on Safari, but we’ve not been to Africa, in fact we’ve only been a little over an hour from home, visiting Knepp Wildlands in West Sussex. 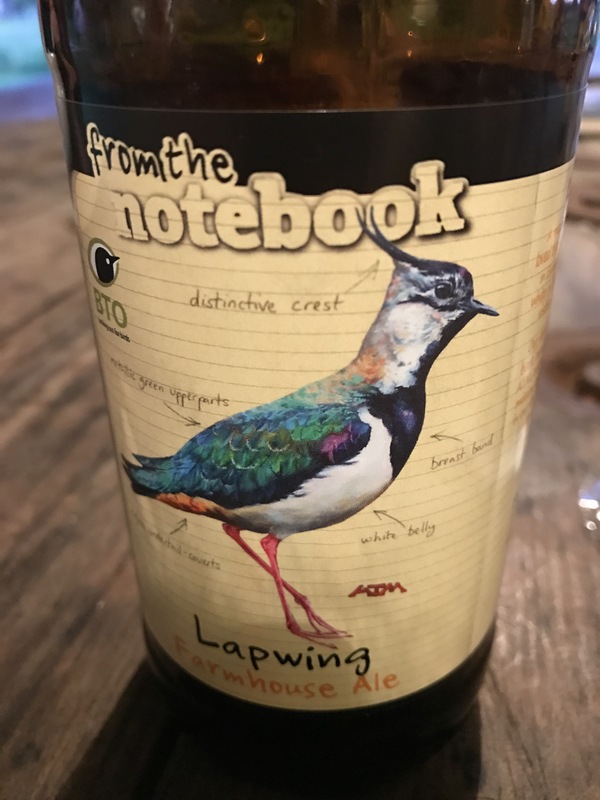 This is a truly inspirational rewilding project. A 3500 acre estate close to Horsham, until 2001 the land was intensively arable farmed. 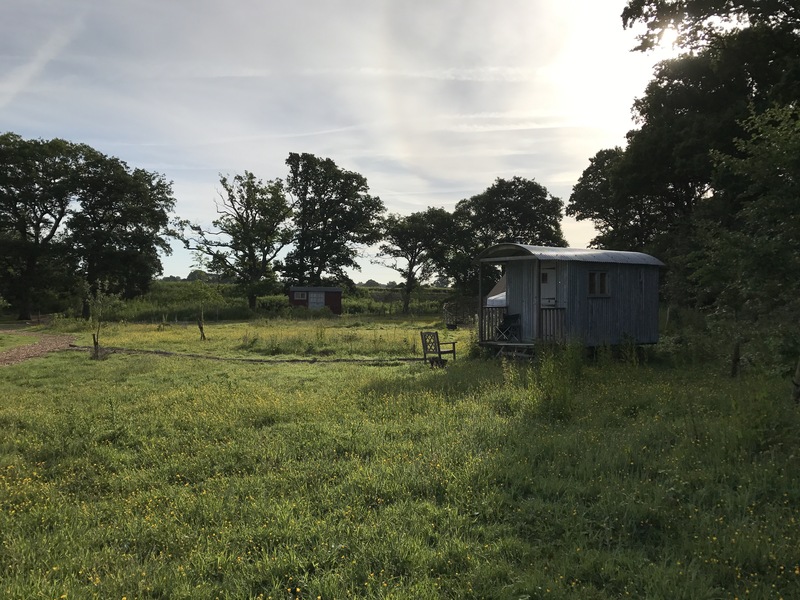 Since then fences have been taken down, hedgerows and scrub have been allowed to grow and the changes are monitored with no interference. Herds of red and fallow deer, longhorn cattle and Exmoor ponies roam the estate, grazing naturally on the land with no supplementary feeding. Free range, slow grown meat is now produced from the herds. 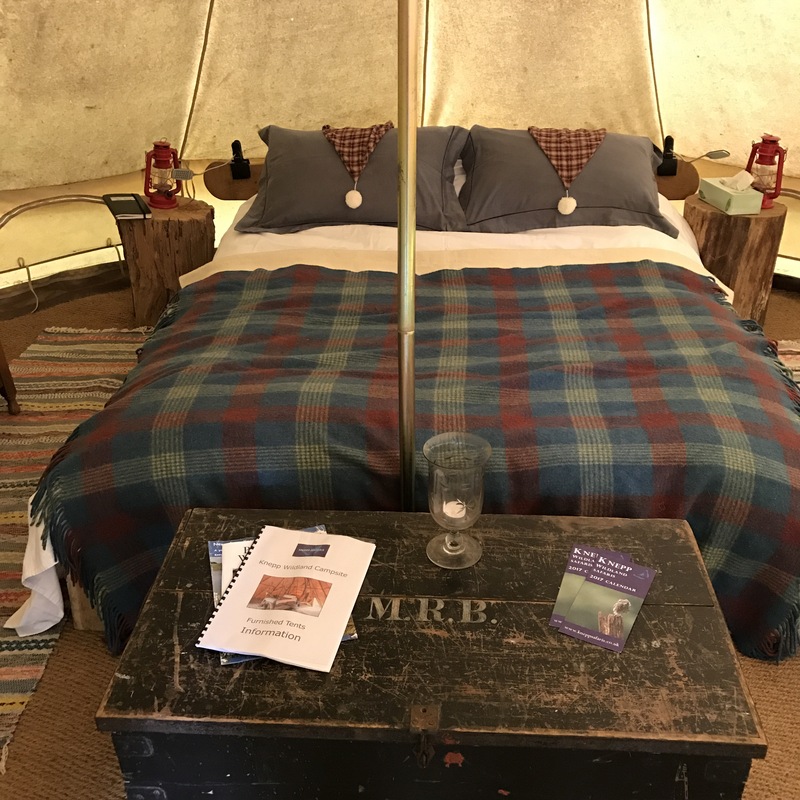 Within the estate there is a campsite for pitch your own tents and a selection of furnished tipis, yurts, shepherd’s huts and bell tents available to stay in. 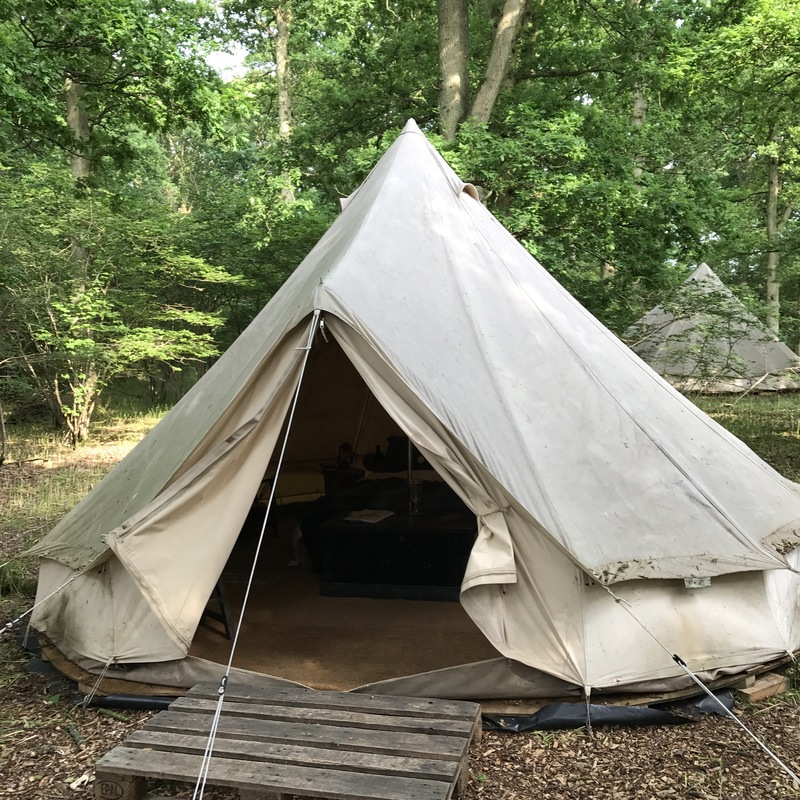 Our home for this weekend was the Barbastelle Bell Tent, named after one of the species of bats that live on the estate. 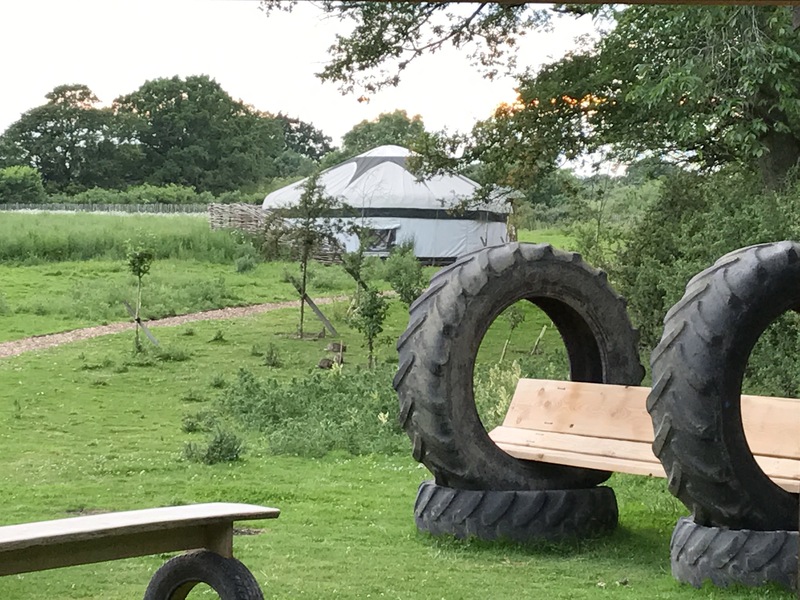 The tent is in the woods, under oak trees, with its own fire pit outside and comfortable recycled tyre seats for evening fire gazing. It comes complete with a whole range of wildlife guides, perfect for a wild weekend. 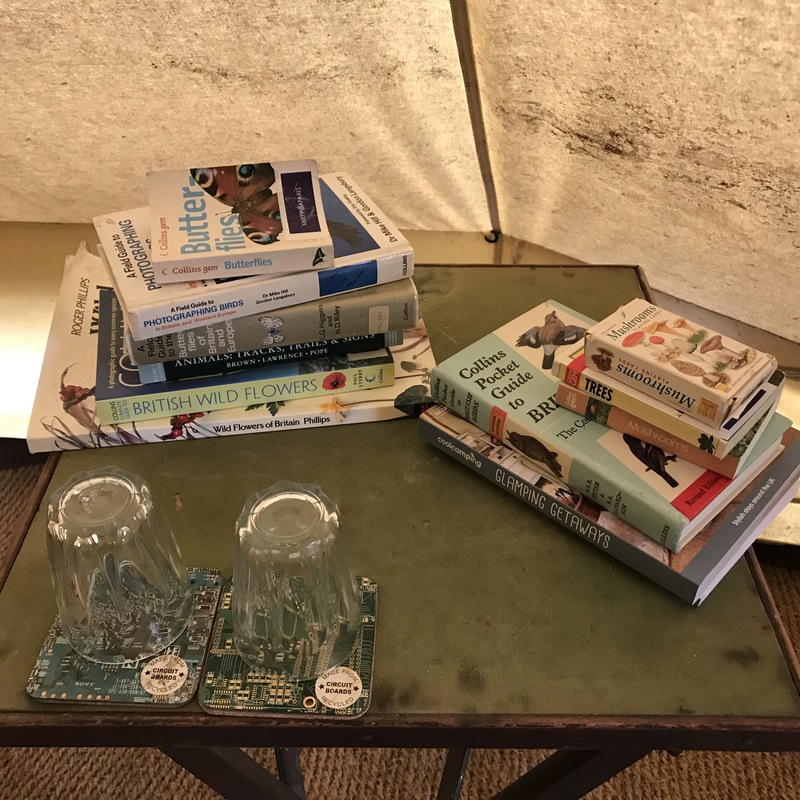 There is a camp kitchen for the use of those staying in the furnished units, with a range cooker, fridge, plenty of plugs for charging your gadgets and lighting for evenings and gloomy days. All the cooking equipment you could need is provided. 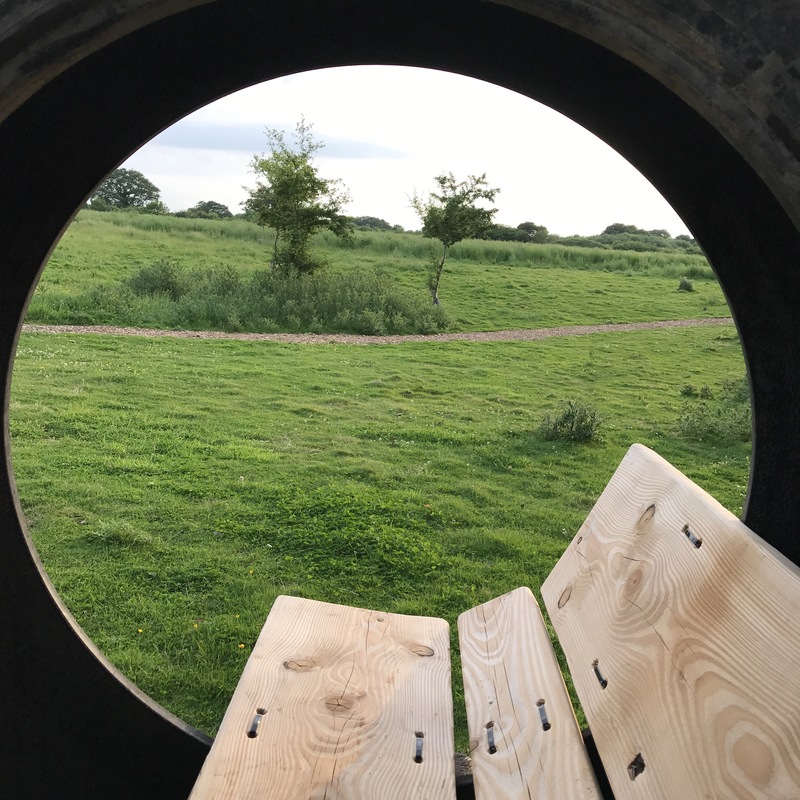 Outside, looking across the meadow, there are benches made from recycled tyres and wood, a swing seat and a communal fire pit. The seats are the perfect place to watch the sunset. 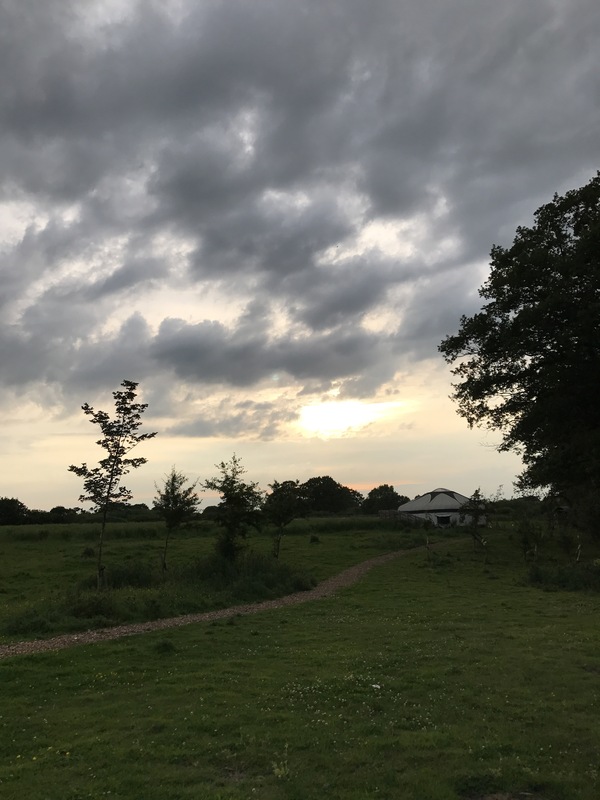 We arrived at Knepp in the late afternoon on Friday and immediately felt ourselves slow down and relax. The air is fresh, alive with birdsong and it’s a stunning place to be. 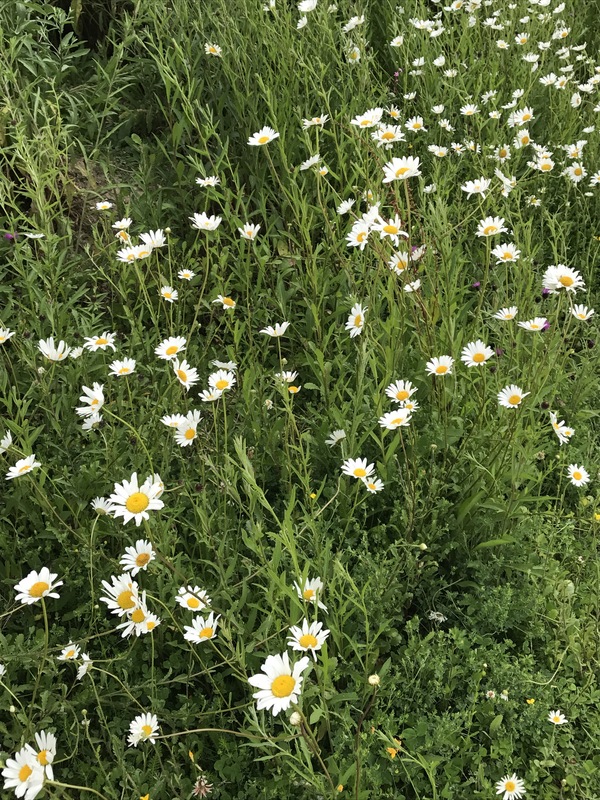 The carpark is surrounded by a fringe of wildlflowers, oxeye daisies wave in the breeze, splashes of purple knapweed heads, tiny scarlet pimpernel and many other species. 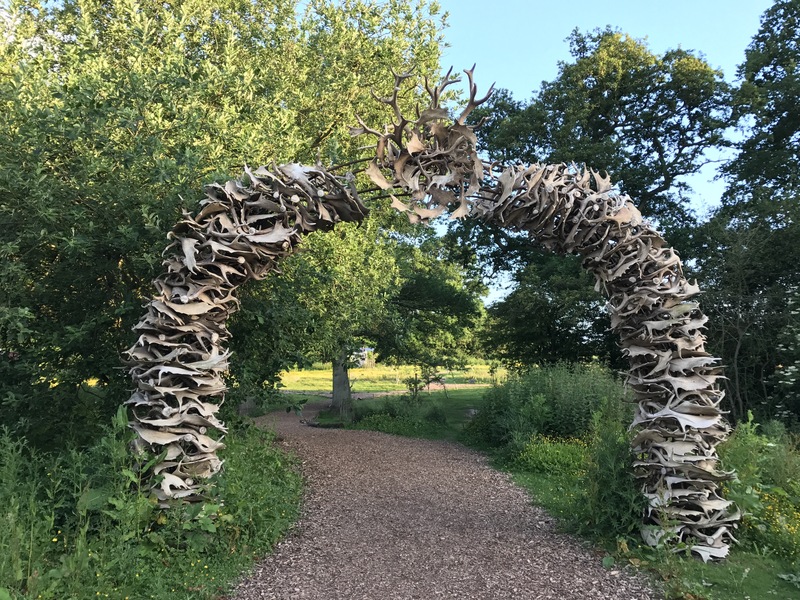 The entrance to the campsite, an arch of fallow deer antlers, from the free ranging herd, unusual and entrancing, passing under it is like passing into another world. Between the shepherd’s huts and teepees a carpet of yellow, buttercups blooming in profusion, a sight to behold, wending through them a path, leading to the woods where we stayed and the campsite. 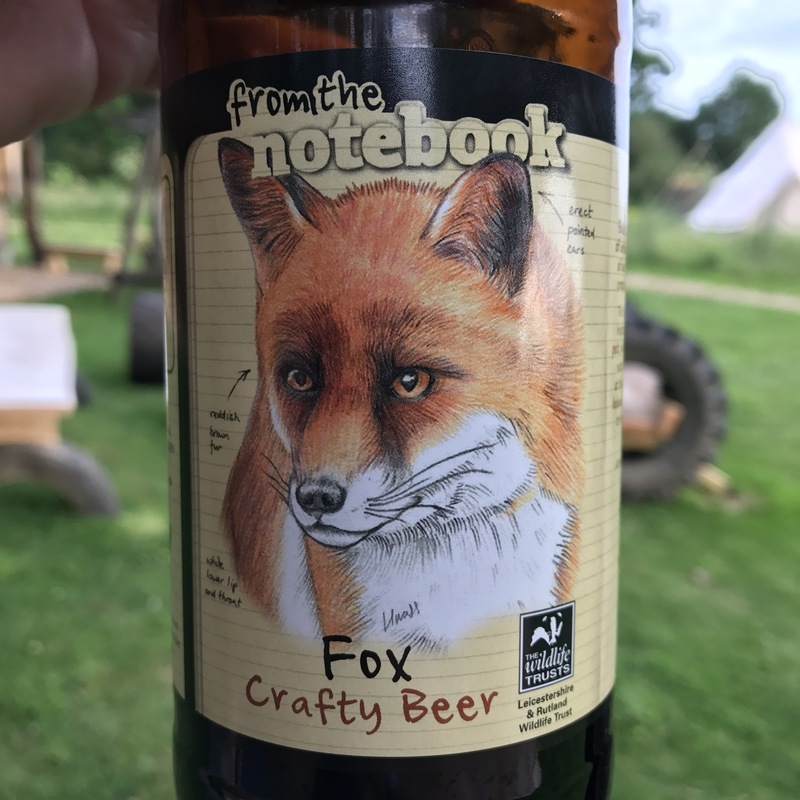 This evening was all about relaxing, we made dinner in the outside kitchen and drank wildlife themed beer, money from it going to Leicestershire and Rutland Wildlife Trust and the BTO, an unexpected random act of wildness, and one we definitely enjoyed! 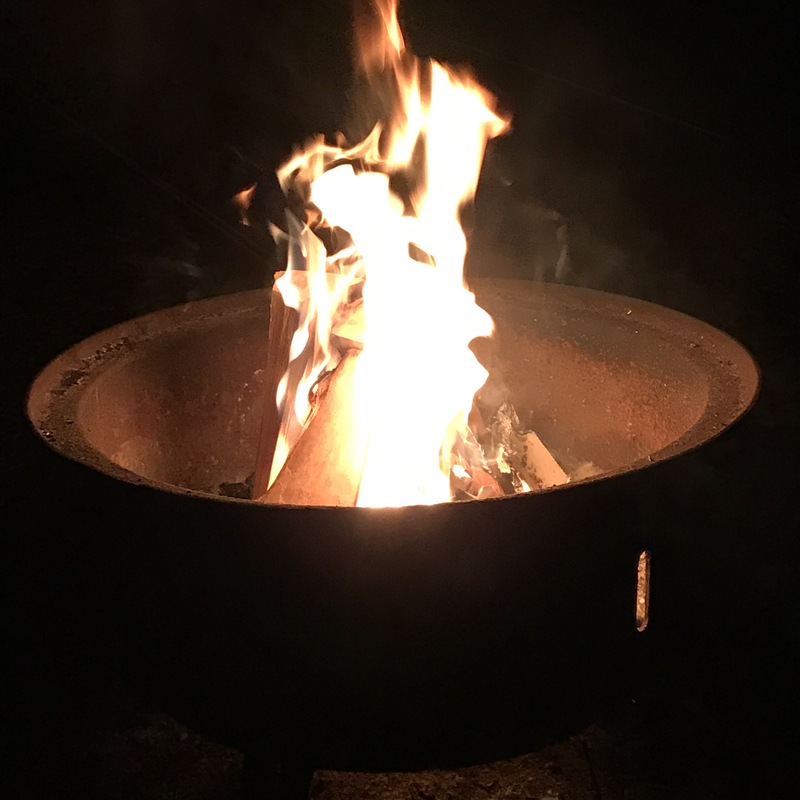 We watched the sunset, then sat next to the fire listening to the sounds of the day change to those of the night, the soft hooting of owls drifting down from the trees. 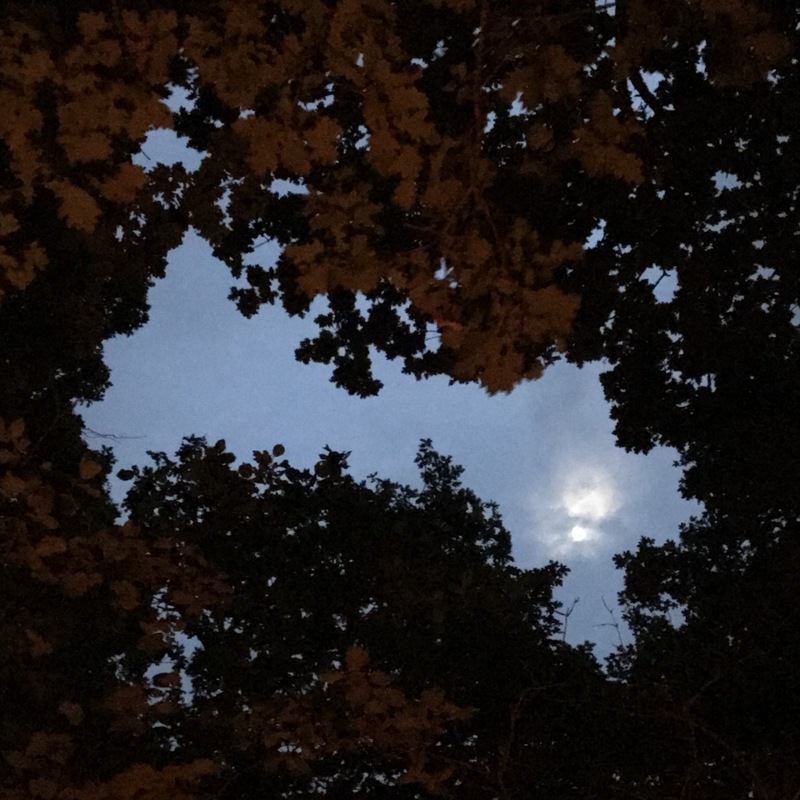 Through a gap in the branches, the moon shone brightly. We settled to sleep, soothed by the gentle rustling of leaves overhead and slumbered deeply. What a beautiful, tranquil place to spend some time.